Dean Douglas Elmendorf announced the appointment of three accomplished public leaders as professors of practice at Harvard Kennedy School this week. All will be affiliated with the School’s Center for Public Leadership. “We are incredibly fortunate to have attracted such outstanding public leaders to the Kennedy School. Each of these leaders has a deep commitment to public service and to excellence in public leadership, and each has impressive experience in multiple parts of our society. By bringing their important and diverse perspectives to the Kennedy School, they will add vibrancy to our community and strengthen our ability to offer powerful learning experiences for our students and to improve the practice of public policy and leadership,” Dean Elmendorf said. 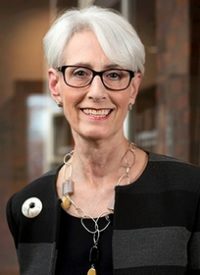 Ambassador Wendy Sherman, former U.S. undersecretary of state for political affairs, has been appointed professor of the practice of public leadership and also director of the Center for Public Leadership where she will succeed David Gergen. She has also worked in state government, as well as in business and in nonprofit organizations. She will teach courses and advise students about public leadership and public service. As director of the center, Sherman will be responsible for setting the strategy, cultivating relationships with public leaders, collaborating with faculty and staff across the Kennedy School, and managing the roughly 40-person team. Her appointment is effective January 2019. She will continue her affiliation with the Kennedy School’s Belfer Center, where she is currently a senior fellow. Learn more about Sherman’s background here. 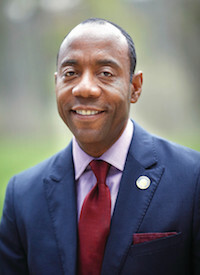 Cornell Brooks has been appointed a professor of the practice of public leadership and social justice. Brooks is the former president and CEO of the National Association for the Advancement of Colored People, a civil rights attorney, and an ordained minister. He will teach and launch the William Monroe Trotter Collaborative for Social Justice, whose mission is to promote excellence in the practice of social justice by supporting applied research and the use of evidence in advocacy and activism. The collaborative will facilitate the understanding and advancement of social justice by connecting faculty, students, scholars, practitioners, nonprofit organizations, and institutions of faith. Brooks’ appointment begins with this academic year. Read Brooks’ full background here. 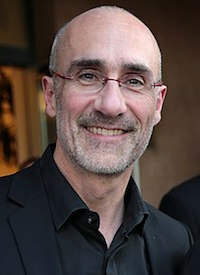 Arthur Brooks has been appointed a professor of the practice of public leadership and will also be a senior fellow at Harvard Business School. He will be stepping down as president of the American Enterprise Institute next year after a decade in that position. At the Kennedy School, Brooks will teach courses on leadership and management, advise students, and develop initiatives to improve public leadership. Read Brooks’ full background here.